CHUNGHA is a soloist who promoted previously in I.O.I after clinching 4th in survival show Produce 101. The singer under M&H entertainment released her single album, Gotta Go on 2nd January 2019. 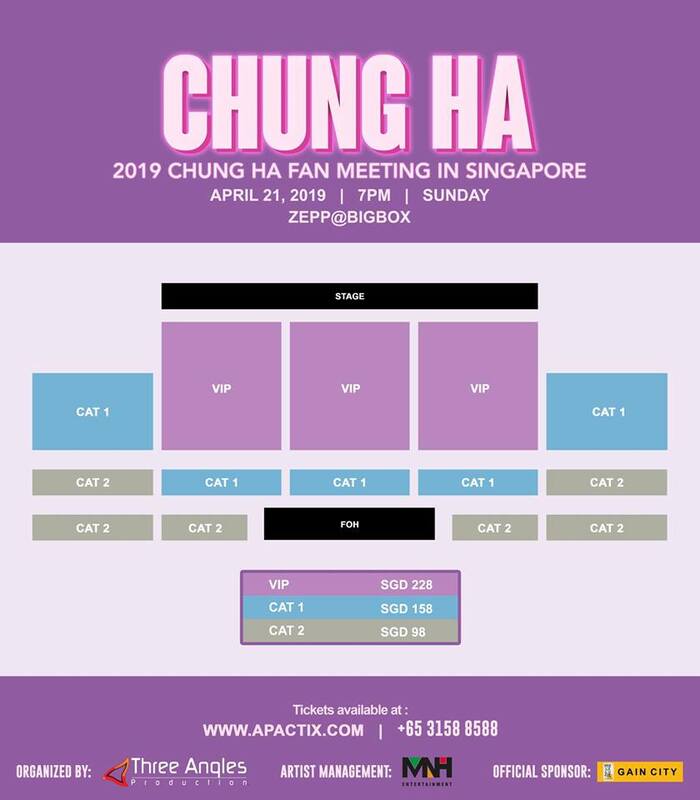 Winning numerous awards since 2017, the girl crush is finally holding her first fan meeting in Singapore on 21st April 2019, 7pm at BIGBOX. 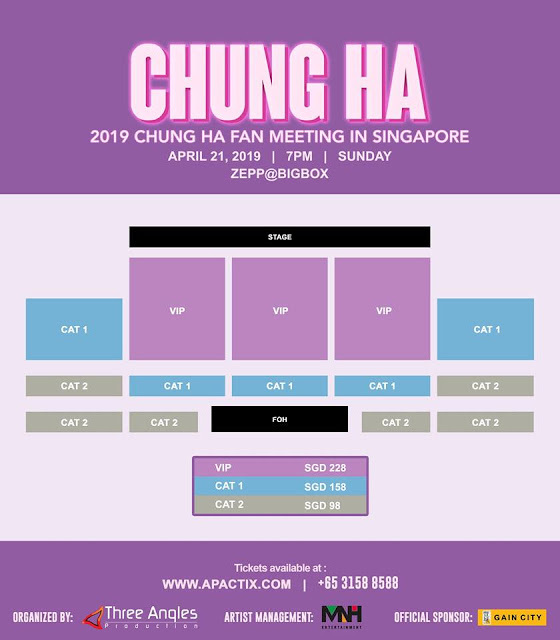 Fret not if you couldn't attend the fan meeting, as Chung Ha will be having a public press conference on the same day at Gain City Megastore and you can catch her at the public event for FREE. 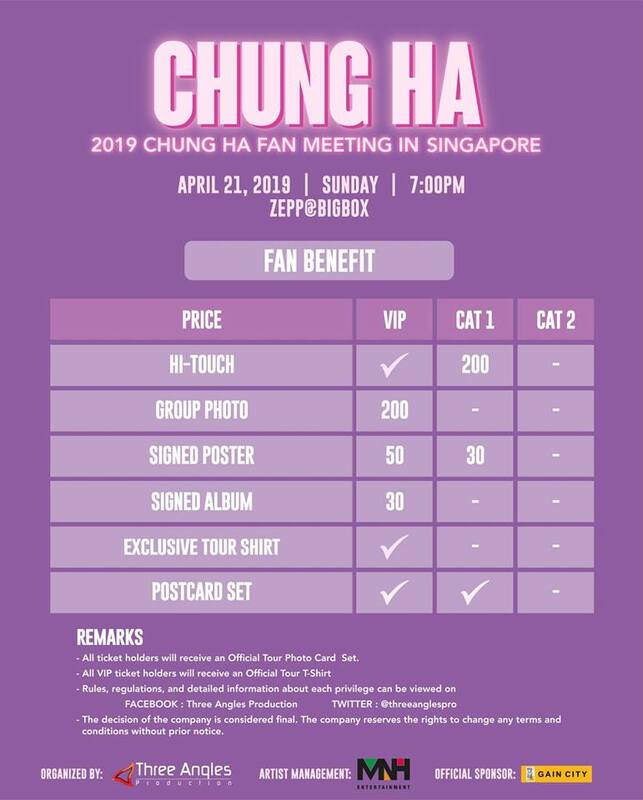 Mark the date and don't miss this opportunity to meet Chung Ha!